Yay! 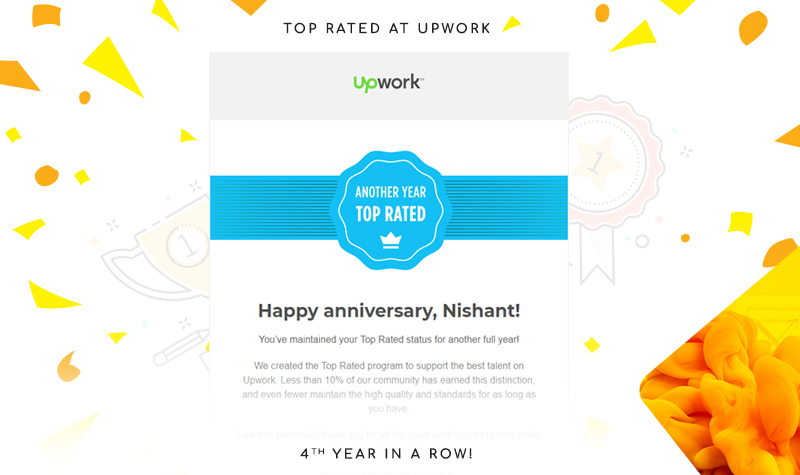 we are Top rated for 4th Consecutive year on Upwork. The top-rated platform has less than 10% of Upwork community and it makes us feel proud that in this competitive environment we have managed to keep our delivery standards high enough to earn this badge yet again.